With a history dating back to 1659, South African Wine is considered among the best in the world. As trade links have greatly improved over the past few decades, so has the access to wine that has been lovingly and expertly made in South Africa, with South African red wine and white wine being of huge greatness. The country takes up just over 1.5% of the worlds grape vineyards and maintains a yearly production of around 10 million hL which equates to 264 million gallons. This statically places South Africa very often among the top 10 wine producing regions in the world. South Africa has a Mediterranean climate that is subject to intense sunlight, along with dry heat. Winter time can be cold and could bring strong winds, though good vineyards are aware and prepared for such events to take place. The climate on the whole makes for great growing conditions which are certainly reflected in the quality wines from the country. Some of the different regions are growing in different soils, with a huge number of variations that include soils with lime, calcium, along with granite and sandstone. While there are some incredible red and white wines from South Africa, there are also a number of factory produced brands that are out to cheat consumers out of a good wine. There are plenty of excellent wines in the country, but it takes some knowledge and research to understand which ones are worth your money and which ones are not. 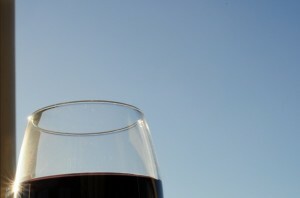 GoodWineOnline is a good resource and online store that offer expert guidance on which wines to buy. The category pages built up around red and white wine from South Africa will leave you comfortable in the knowledge that you can trust what they’ve discovered from their first-hand experience.